I just received a Papilio Pro from LinkSprite today. It is detected as an FTDI device under linux and two serial ports (ttyUSB0, and ttyUSB1) are created when I plug it in. The red led on the board is lit. The jumper is set to 'USB'. The cable works fine with other FTDI devices that I have. When I try to use ./tools/Papilio_Loader/papilio-loader.jar to load the Quickstart-Papilio_Pro_LX9-v1.5.bit file, I get: 'Could not access USB device 0403:6010. If this is linux then use sudo.'. That happens even running it with sudo. ID_ERROR = 0 IDCODE not validated. DONE = 0 Input from the DONE pin. INIT = 0 Input from the INIT pin. MODE = 000b Input from the MODE pins (M2:M0). GHIGH_B = 0 0 = asserted. GWE = 0 0 = all FFs and Block RAMs are write-disabled. GTS_CFG = 0 0 = all I/Os are 3-stated. IN_ERROR = 0 Legacy input error. DCI_MATCH = 0 DCI is matched. DCM_LOCK = 0 DCMs are locked. CRC_ERROR = 0 CRC error. I will also add, that I have tried this from Windows (well, in a Win 10 kvm, using usb passthrough (which I will say works fine flashing firmwares on other devices)) with the same results. Is there anything I can do to bring this to life? Tools at my disposal are a Bus Pirate, FTDI usb<->serial, and an oscilloscope. I figured out what the issue was. 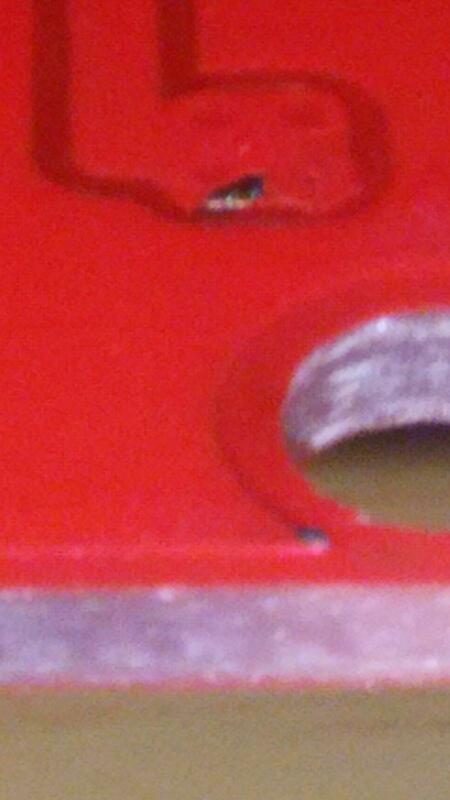 There was a piece of silkscreen on the bottom (4x via beneath C49, top left corner) that was flaked off. And also the tip of the skinniest part of the groundplane next to the standoff was exposed. Adding the standoff then shorted Vin to Gnd. The via on the bottom seemed to bring Vin from C49 to pins 2 & 3 (RUN1 & MODE) of the regulator on the top side. So I think it is probably OK? What do you think? Add some electrical tape to prevent the short and move on...? I think it will be just fine with some electrical tape, if you want we can swap it out for a new one when the next batch of Papilio Pro's come in.